Draft: 2005, St. Louis Cardinals, 1st rd. April 3, 2015 Lehigh Valley IronPigs released SS Tyler Greene. January 28, 2015 Philadelphia Phillies signed free agent SS Tyler Greene to a minor league contract. January 28, 2015 SS Tyler Greene assigned to Lehigh Valley IronPigs. April 23, 2014 SS Tyler Greene assigned to El Paso Chihuahuas. 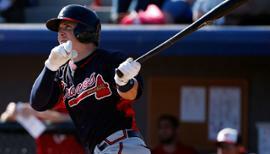 April 22, 2014 Atlanta Braves traded SS Tyler Greene to San Diego Padres. 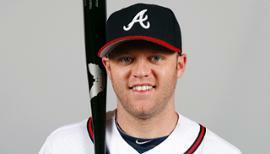 January 13, 2014 Tyler Greene assigned to Atlanta Braves. 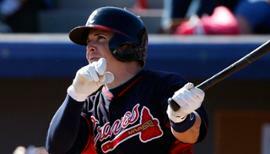 August 17, 2013 Atlanta Braves signed free agent 2B Tyler Greene to a minor league contract. August 17, 2013 SS Tyler Greene assigned to Gwinnett Braves. 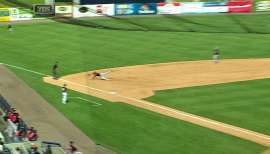 August 13, 2013 Charlotte Knights released 2B Tyler Greene. June 5, 2013 Chicago White Sox sent 2B Tyler Greene outright to Charlotte Knights. June 3, 2013 Chicago White Sox designated Tyler Greene for assignment. April 14, 2013 Chicago White Sox purchased 2B Tyler Greene. April 4, 2013 SS Tyler Greene assigned to Charlotte Knights. April 1, 2013 Chicago White Sox signed free agent SS Tyler Greene to a minor league contract. March 26, 2013 Houston Astros released SS Tyler Greene. August 10, 2012 Houston Astros activated SS Tyler Greene. August 9, 2012 St. Louis Cardinals traded 2B Tyler Greene to Houston Astros. November 2, 2011 Tyler Greene roster status changed by St. Louis Cardinals. October 1, 2011 St. Louis Cardinals reassigned 2B Tyler Greene to the minor leagues. September 6, 2011 St. Louis Cardinals recalled 2B Tyler Greene from Memphis Redbirds. July 31, 2011 St. Louis Cardinals optioned Tyler Greene to Memphis Redbirds. July 29, 2011 St. Louis Cardinals recalled Tyler Greene from Memphis Redbirds. June 18, 2011 St. Louis Cardinals optioned Tyler Greene to Memphis Redbirds. December 31, 2010 SS Tyler Greene transferred to Tigres de Aragua from Navegantes del Magallanes. 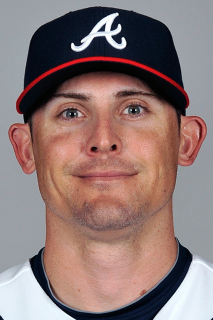 December 26, 2010 Leones del Escogido claimed Tyler Greene off waivers from Aguilas Cibaenas. December 26, 2010 Tyler Greene assigned to Navegantes del Magallanes. December 20, 2010 Aguilas Cibaenas signed Tyler Greene. September 7, 2010 St. Louis Cardinals recalled Tyler Greene from Memphis Redbirds. August 17, 2010 St. Louis Cardinals optioned Tyler Greene to Memphis Redbirds. August 13, 2010 sent SS Tyler Greene on a rehab assignment to Palm Beach Cardinals. August 1, 2010 Tyler Greene assigned to Memphis Redbirds. August 1, 2010 Tyler Greene roster status changed by St. Louis Cardinals. July 2, 2010 St. Louis Cardinals recalled SS Tyler Greene from Memphis Redbirds. May 17, 2010 St. Louis Cardinals optioned Tyler Greene to Memphis Redbirds. April 26, 2010 St. Louis Cardinals recalled Tyler Greene from Memphis Redbirds. March 26, 2010 St. Louis Cardinals optioned Tyler Greene to Memphis Redbirds. October 19, 2009 Tyler Greene roster status changed by St. Louis Cardinals. October 7, 2009 St. Louis Cardinals reassigned SS Tyler Greene to the minor leagues. September 23, 2009 St. Louis Cardinals recalled Tyler Greene from Memphis Redbirds. September 23, 2009 St. Louis Cardinals activated SS Tyler Greene. July 6, 2009 St. Louis Cardinals optioned Tyler Greene to Memphis Redbirds. June 5, 2009 St. Louis Cardinals recalled Tyler Greene from Memphis Redbirds. May 24, 2009 St. Louis Cardinals optioned Tyler Greene to Memphis Redbirds. April 30, 2009 St. Louis Cardinals recalled SS Tyler Greene from Memphis Redbirds. April 30, 2009 St. Louis Cardinals activated SS Tyler Greene.